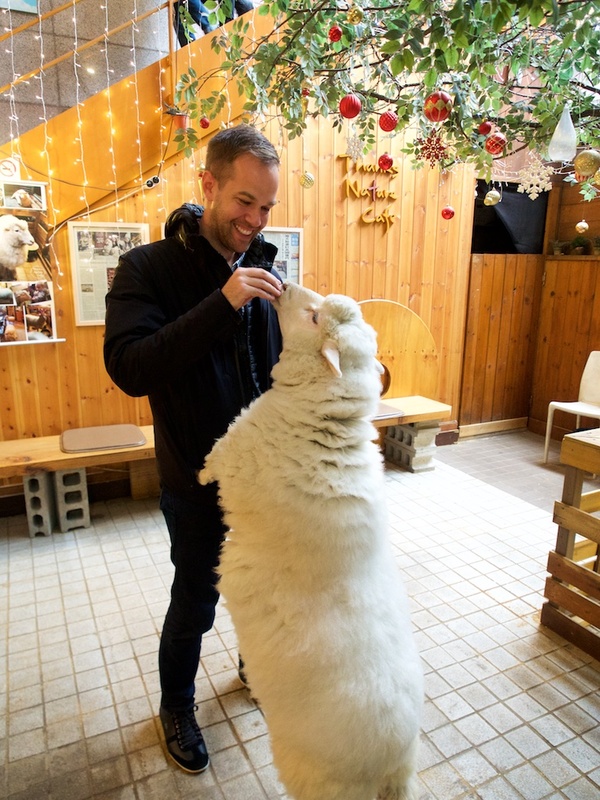 Ever since our visit to an owl cafe in Japan, we’ve kind of been hooked on animal cafes. 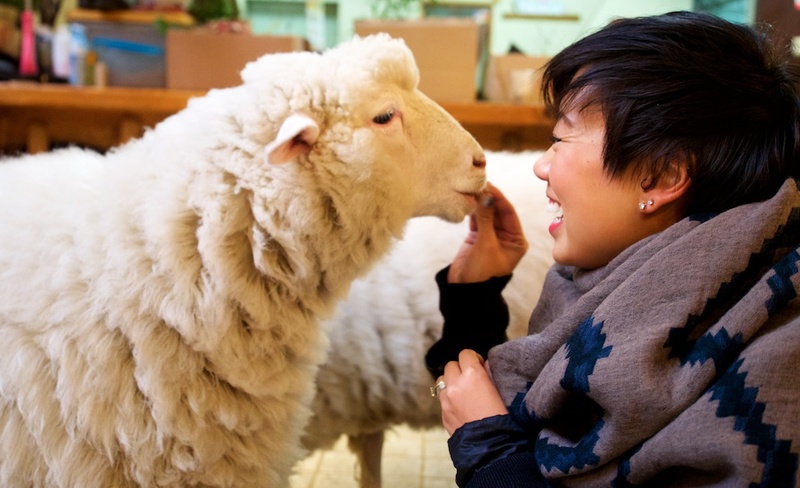 Thankfully, animal cafes throughout SE Asia are kind of a thing, and we couldn’t be happier. 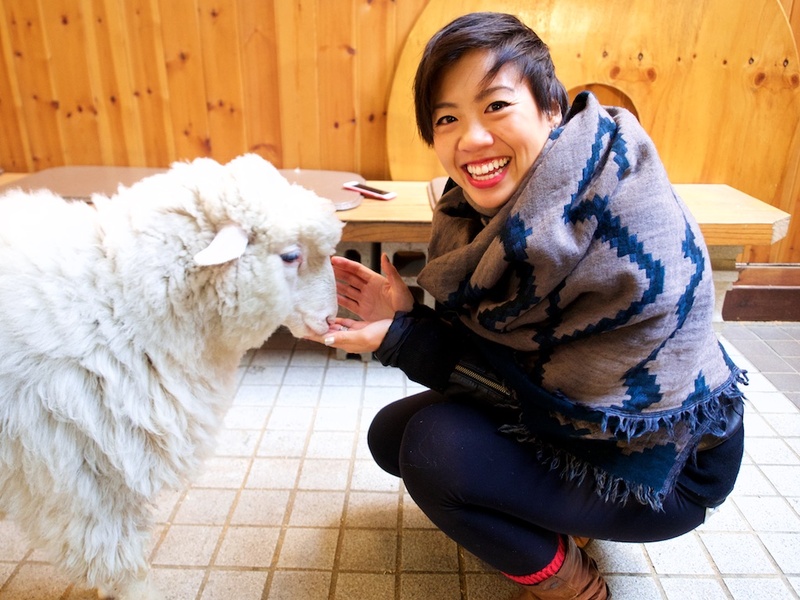 You couldn’t possibly imagine how excited we were when we found out that Seoul had it’s very own Sheep Cafe! 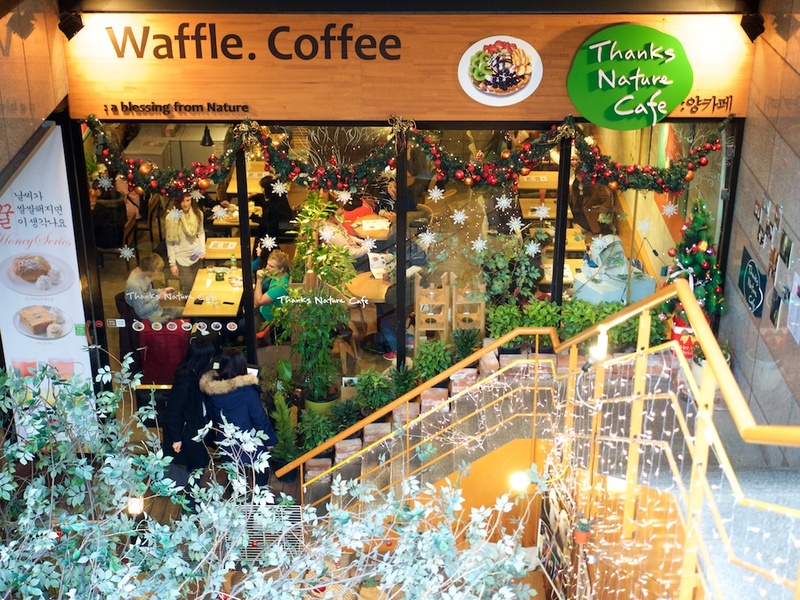 We really didn’t know what to expect at Thanks Nature Cafe, given that it was our first pet cafe experience in Korea. 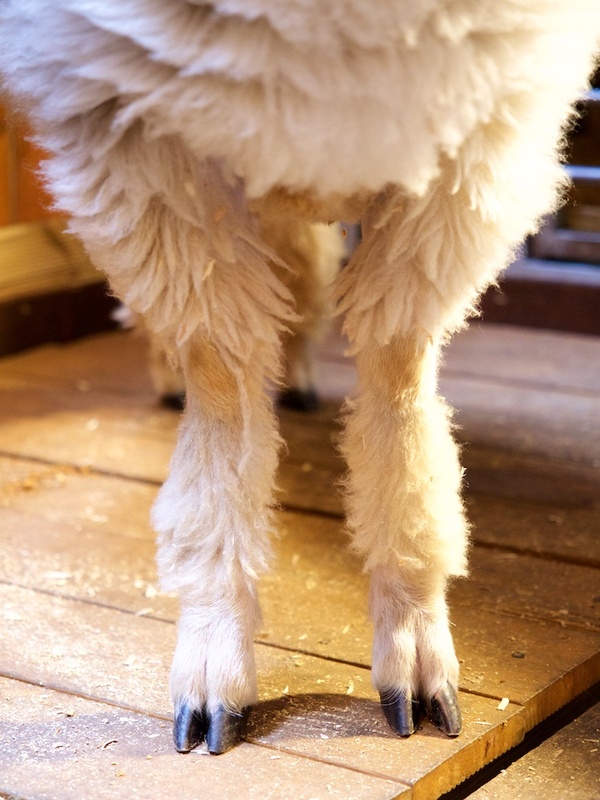 We had envisioned white balls of fleece running around while we sipped our mint chocolate lattes (highly recommended!) and ate a savoury chocolate waffle. 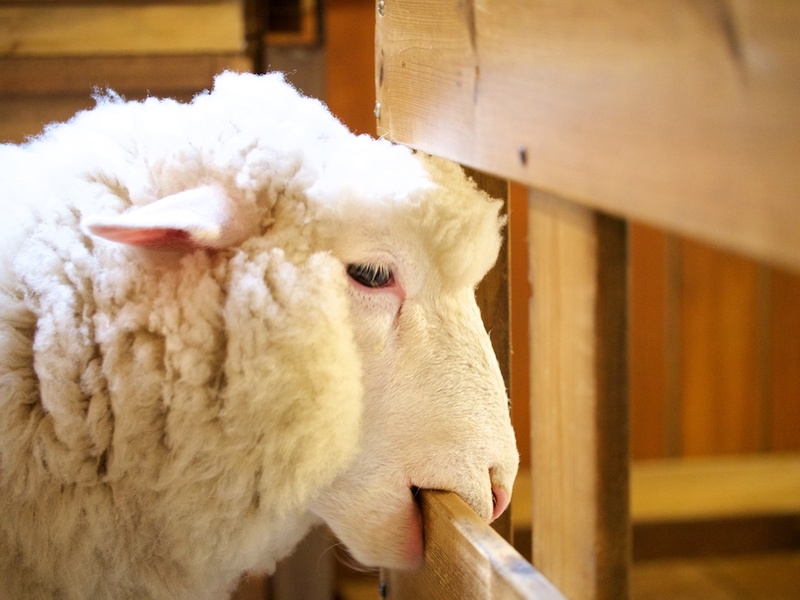 Looking back, maybe this wouldn’t have been totally hygienic, but we can dream can’t we? 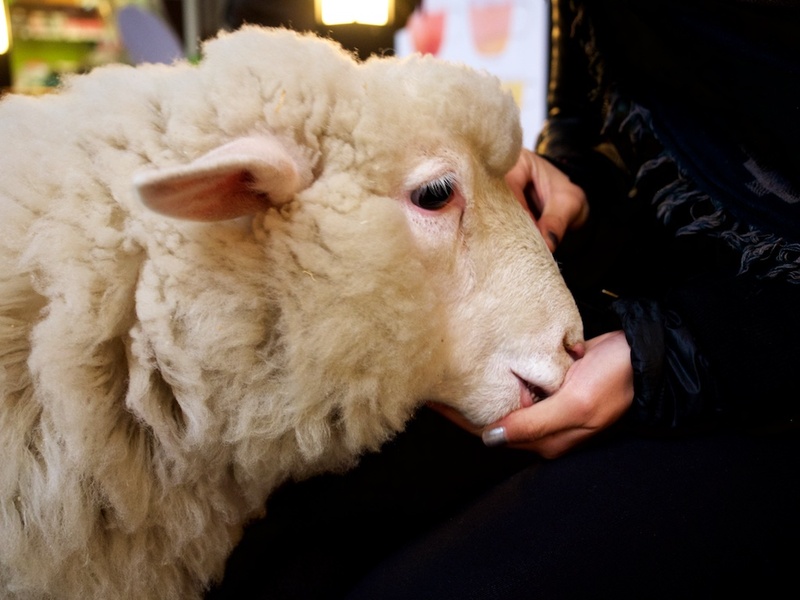 The chocolate waffles were delicious and the sheep were fluffy. 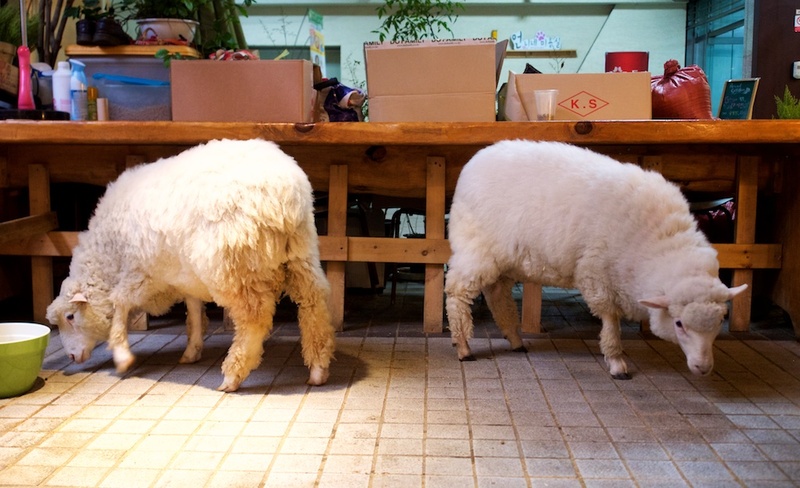 They just weren’t running around inside the actual cafe itself. Bocksil and Mongsil had a pen to themselves just outside of the cafe. 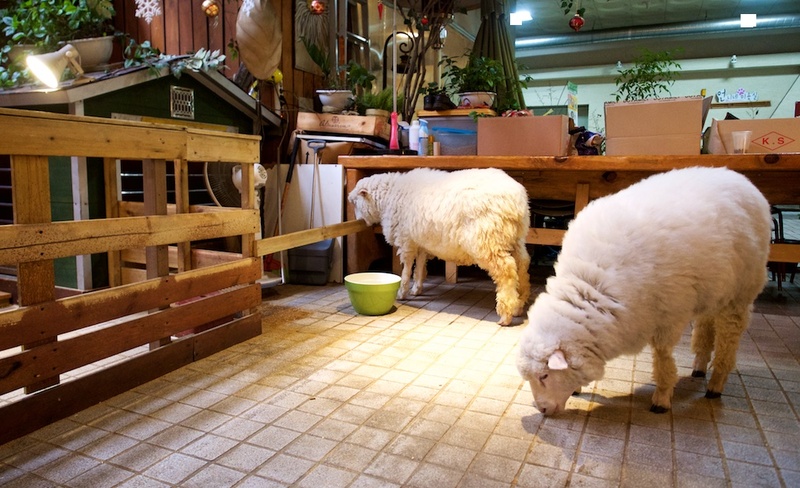 Patrons can go in the pen on their own, and if you’re lucky, the owner will show you where the sheep pellets are. We’d like to think that we became best friends with Bocksil and Mongsil, but we’re not kidding anyone. 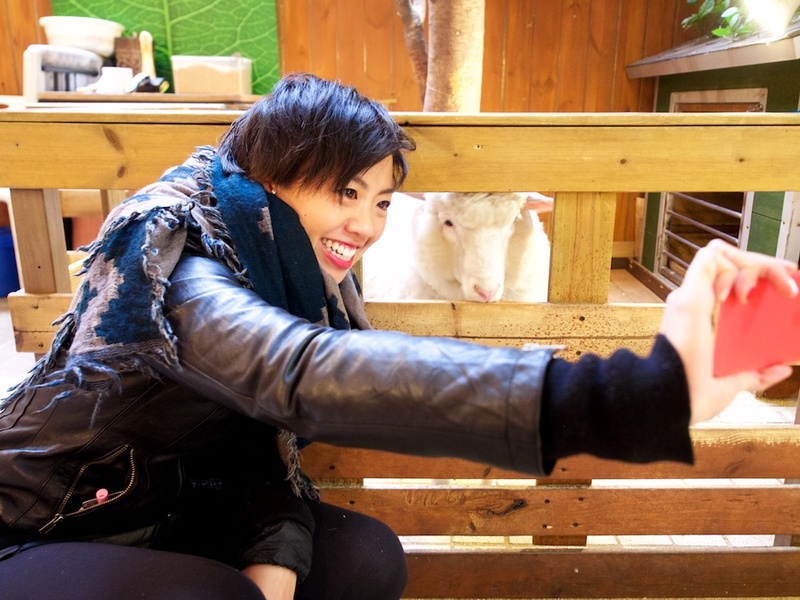 It’s because we hoarded the food from the other visitors! 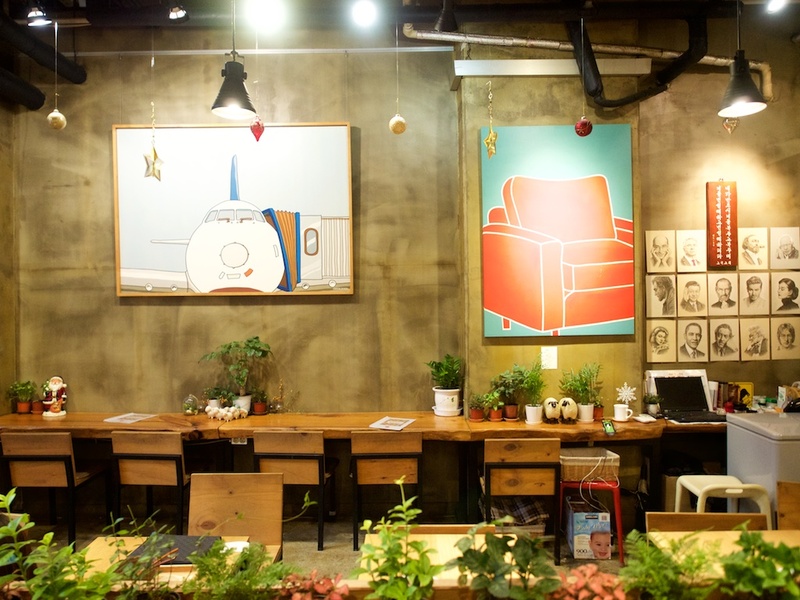 Thanks Nature Cafe is located in the Hongdae district of Seoul, in the basement of a strip mall. If you’re in the area it’s definitely worth a visit. Heck, if you’re not in the area then go out of your way! 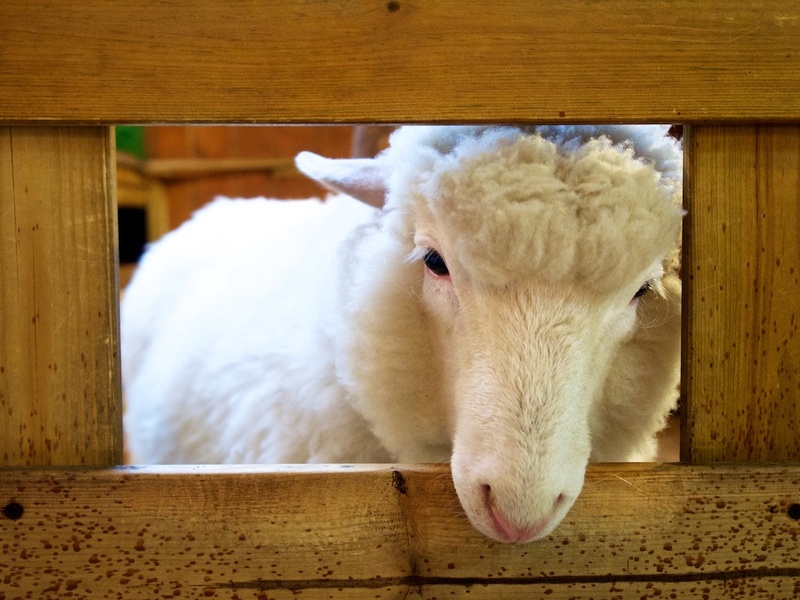 Because lets be honest, sheep are probably the coolest farm animal you’ll ever have the chance to drink some coffee with. 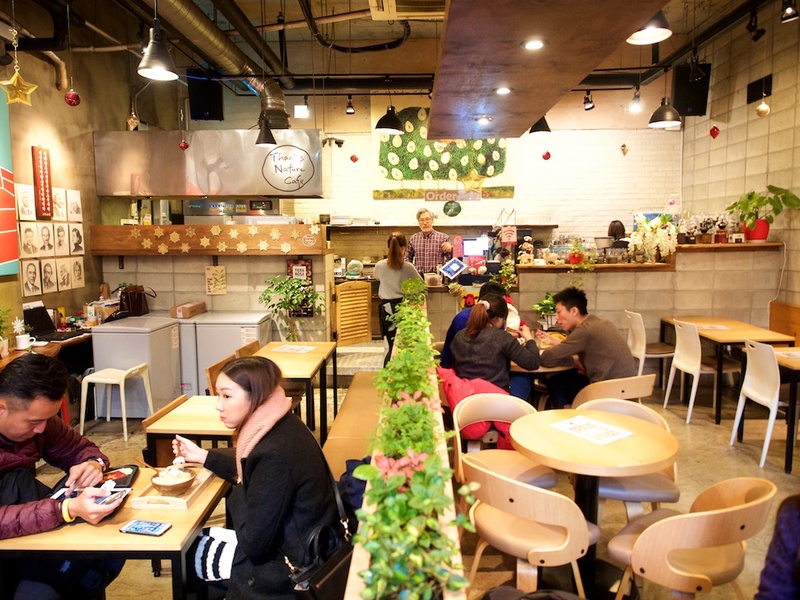 Directions: Take the Line 2 subway to Hongik University. Come out Exit 9, turn left at your first intersection. Up the hill a couple of blocks, and Thanks Nature Cafe will be on your left hand side. 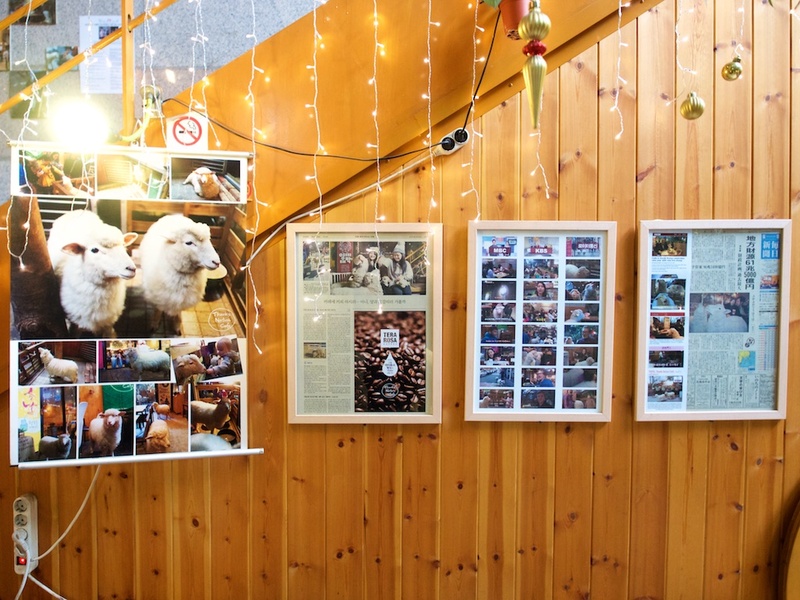 I’ve been wanting to visit the Sheep Café since it opened, but everytime I’m in Seoul, I never make it. I’m hoping next time I will. Thanks for this post. Great pictures!